John and Lisa Zuhlke used to get along well with their neighbor of 10 years. Before they began raising more than 350 varieties of heirloom vegetables and honey on their five-acre operation in Aurora, South Dakota, two years ago, they maintained an amicable relationship with the soybean grower next door. He would scoop snow from their driveway and road and let them hunt his land for dove geese, says John Zuhlke. Dicamba—the controversial weed killer—upended their relationship. In August 2017, the leaves on Zuhlke’s vegetable crops started looking deformed, curling up around the edges, or cupping. “It was weird to me. I’d never seen anything like it,” he says. When he asked his neighbor about it, he was told the neighbor had sprayed Engenia, one of three “low volatility” dicamba products that have been approved to spray on fields of dicamba-resistant soybeans after the seedlings have emerged. 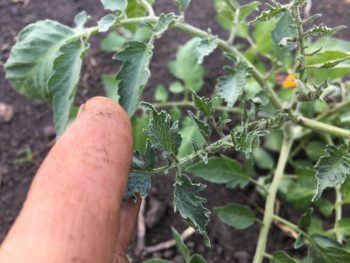 A tomato plant on John and Lisa Zuhlke’s farm that has been damaged by nearby dicamba spraying. Zuhlke lost over $11,000 worth of crops that summer, and had to let over 300 tomato plants rot in the field. Offered no apology, he made a claim on his neighbor’s liability insurance. But the insurance company refused to pay, blaming the product. And while the neighboring farmer had been careful when spraying in the past, that has changed. “Now he hates us,” says a frustrated Zuhlke, who has reported pesticide damage to the state’s department of agriculture three times in two years. This year, the leaves on Zuhlke’s black walnut and cherry trees even curled up. Lab results he posted on Twitter indicated a cocktail of pesticides: dicamba, glyphosate (the main ingredient in Roundup), and 2, 4-D. As far as he could tell, however, “no one within a half of a mile sprayed,” he says. Dicamba was first registered in the U.S. in 1967. Known to be volatile, becoming vapor at high temperatures, it was typically only used to clear fields of weeds before planting in late fall or early winter—at times when it would do little damage to nearby plants and didn’t impact growing crops. The new formulations, introduced by Monsanto (now Bayer), Dupont, and BASF in 2016 and 2017, claimed to lower dicamba’s volatility, and therefore its drift potential, in warm spring and summer weather. But the herbicides have proved so problematic for neighboring farms that both Arkansas and Missouri placed temporary bans on them in 2017. Independent researchers were not allowed to test the products’ volatility before they were registered, and many are still struggling to get a clear picture of how it moves and under which conditions it volatilizes. Many pesticide experts shared a common a sense of dread when dicamba was first registered for use on soybeans and cotton—but the ensuing damage exceeded their fears. “Even the most pessimistic pesticide specialist was shocked by the amount of off-target movement and damage in 2017,” says Andrew Thostenson, a pesticide specialist at North Dakota State University Extension Service in Fargo. 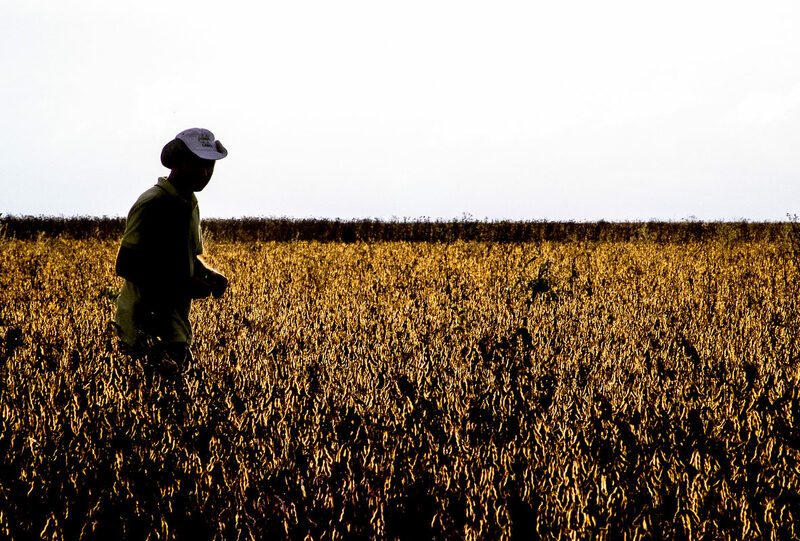 On Halloween evening, the U.S. Environmental Protection Agency (EPA) released a long-awaited decision reauthorizing dicamba’s registration for two more years, with additional restrictions to the already-complicated label. And while some of those restrictions may help some farmers avoid harming their neighbors’ crops, it will likely continue to sour more rural relationships in the years ahead. Detailed data on the number of dicamba damage complaints and acres impacted are hard to find. For example, Arkansas refused to share data on dicamba damage with non-state residents. Farmers can either call the company or the state’s department of agriculture to lodge complaints. Monsanto says they had received 381 calls about damage by end of last summer. As of July 15, University of Missouri weed scientist Kevin Bradley had tallied roughly 600 cases of damage on the 1.1 million acres that were under investigation by state departments of agriculture. Yet after several states—including Oklahoma, Iowa, Tennessee, and Kentucky—opted not to share data, he discontinued the record-keeping. The American Association of Pesticide Control Officials (AAPCO) routinely sent surveys to state departments of agriculture around the nation, but it received similarly spotty data in return. Most of these folks are overwhelmed by the workload and exhausted after the past few years of damage, says AAPCO president Tony Cofer, based at the Alabama Department of Agriculture & Industries. According to the September 6, 2018 AAPCO survey, Zuhlke’s home state of South Dakota had documented 46 reported cases of dicamba damage on 45,000 acres. Zuhlke, like many, believes the reported numbers are an underestimate. “Nobody wants to piss off their neighbors,” he says. But impacted neighbors throughout soybean and cotton country are, in a word, pissed. “I have never seen an issue that has divided agriculture, as a whole, like this issue has,” says Jason Norsworthy, a weed scientist at the University of Arkansas. North Dakota State’s Thostenson agrees. In fact, he says he was physically threatened on social media for expressing his views as a university pesticide specialist. “I couldn’t have imagined some of the things that have been done and said to me,” says Thostenson. “It’s jarring. It’s scary,” he says. Pro-dicamba farmers argue it is the only thing that can fight herbicide-resistant “superweeds,” such as waterhemp, Palmer amaranth, and marestail. But because dicamba, like 2,4-D, mimics plant hormones called auxins, it is also toxic to a wide variety of broadleaf and woody plants. “If all the damage was on soybeans, agriculture could work that out,” says Hartzler. “But other plants in the landscape are not as easily replaced as a field of soybeans. That’s my big concern.” Vineyards in South Dakota, peach and apple orchards in Illinois, and over 500 acres of residential trees in Missouri are among the losses. When dicamba damages soybean plants, it causes their leaves to curl up at the edges like cups. The situation only promises to get more complicated now that the agency has reauthorized dicamba’s registration for two more years with additional restrictions, including requiring it be sprayed only by certified applicators up to 45 or 60 days after planting on cotton and soybeans respectively, introducing buffers to protect endangered species, and restricting application hours during the day. The decision also requires that Bayer conduct more research on off-site movement of dicamba during the 2019 growing season—or the company could lose the registration all together. University of Arkansas’ Norsworthy is one of many pesticide and weed experts who don’t think the EPA’s new directives will do much to get dicamba damage down to an acceptable level. The restrictions don’t prevent late-season spraying, for one. In addition, Norsworthy’s own research showed that glyphosate can increase the volatility of dicamba, yet there are no new regulations that prevent mixing the two in pesticide spray tanks. As a result, 2019 is set to be contentious year. 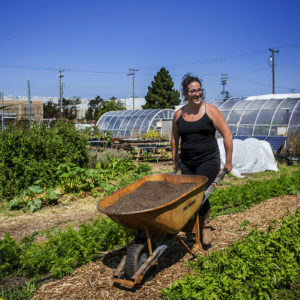 “I think the farm community may be a lot less patient moving forward,” says Thostenson. 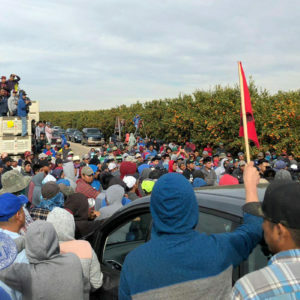 “Those farmers injured in 2019 will not be very quiet about it,” he predicts. States may impose their own restrictions on the weed killer. On November 5, the Arkansas State Plant Board tentatively approved a June 15 cutoff date to spray dicamba to further avoid off-target damage. Until now, farmers explored a range of options—some have settled disputes themselves, others have sued Bayer, and many have filed insurance claims. One dispute ended in death and an unknown number have resulted in bitter relations. In sparsely populated areas, where neighbors have often relied heavily on one another in the past, those dynamics can have outsized ramifications on daily life. A chasm has opened up that is hard to repair. As is the case with many current, contentious issues, farmers are often either for or against dicamba, with little middle ground, says Aaron Hager, a weed scientist at the University of Illinois. “A farmer anywhere has the right to grow whatever they want,” he says, and “shouldn’t have to change his practices based on what his neighbor does.” What happens, he asks, if the tables are turned? A tree whose leaves have been damaged by dicamba. Photo: John Zuhkle. 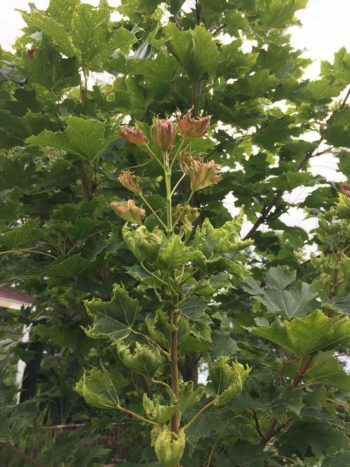 Louis Nelms filed complaints to the Illinois State Department of Agriculture in 2017 and 2018 when first his trees and then his garden plants were damaged by dicamba. Nelms had restored six of his 13 acres in central Illinois to native prairie. Before he retired, he had a native plant seed business, supplying seed for restoration projects around the Midwest. 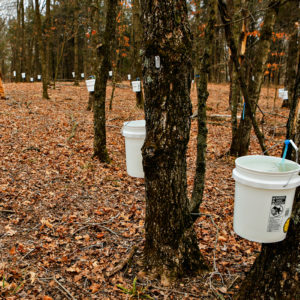 He also filed reports of herbicide injury to several natural preserves to the Illinois Department of Nature Resources. “I wasn’t interested in getting anyone in trouble, but I really feel like every incident needs to be recorded so there’s a record of what’s going on,” says Nelms. And since the state didn’t offer to do testing, he paid $200 out of pocket to a private lab to confirm the results. But he says he’s not sure he wants to live in Illinois anymore. “It’s become a quality of life issue. Industrial agriculture has degraded natural ecosystems in the Midwest—with alarming effects on insects and pollinators. It’s made a lot of us wonder what the hell are we’re doing living here,” he says. As dicamba use increases, so does the likelihood of non-farmers reporting damage. The number of homeowners and individuals reporting damage to gardens, trees, shrubs, and lawns, definitely increased in 2018 compared to 2017, says Norsworthy. “As individuals become more educated about the symptoms, they are more likely to pick up the phone [and report it],” he adds. 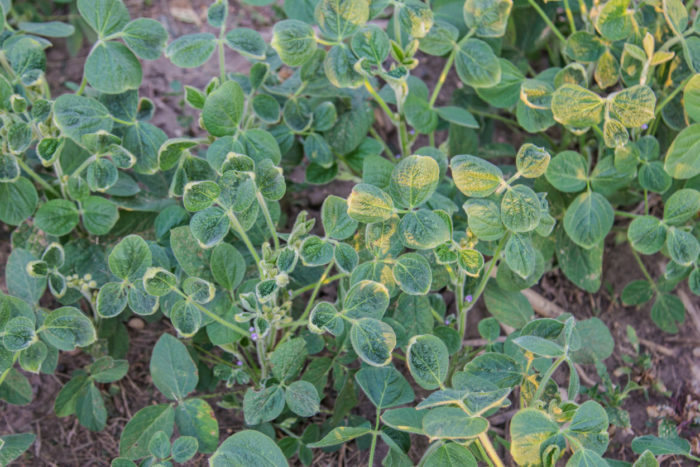 One long-term concern, notes Norsworthy, is how dicamba damage may impact the ability to develop and breed new soybean genetics. “It becomes challenging, if not impossible in environments in which non-dicamba soybeans have symptoms of damage,” he says. However, many pesticide specialists fear that the worst long-term impact will be to agriculture’s reputation. “Agriculture in general is facing unprecedented scrutiny about all applications and having a ‘bad actor’ out there like dicamba is going to do nothing but inflame public sentiment … when the consuming public and rural residents start to realize and understand why trees and landscapes are being injured,” Steve Smith wrote in an emailed response to the EPA decision. Smith, director of agriculture for Red Gold Tomatoes, a canned tomatoes company in Elwood, Indiana, provides the farmers he works with letters informing neighbors not to spray near their fields because the company will not tolerate economic losses. But, he says, neighbors who turn in dicamba damage complaints to the state risk the community turning on them. “The rural acrimony occurring is the real deal,” he says. Yet his operation is the one being compromised. “The farmers that spray [dicamba] are putting that risk on me now,” says Zuhlke. And it’s hard to imagine that going well over the long term. Excellent positioning of a concern that is undermining trust in farmers and agriculture. Please forward this to all elected officials for a "MUST" read. I'm in Marion County, Illinois Civil court pursuing damages I received on a 2017 seed bean field from TWO adjoining neighbors who sprayed Dicamba, in Monsanto's Xtendimax Herbicide they used on their adjacent Monsanto Xtend bean fields in 2017. Neither of the neighbors' Liability Insurance providers OFFERED any compensation for the damage I statistically proved with yield maps from my field at harvest in the fall of 2017. When I filed suit against the neighbors, one neighbor's Liability Insurance Provider (Grinnel Mutual) settled with me by paying $19,422.29 ( the requisite damage I had asked of their client), verses fighting me in Civil Court. on my claim of $5801.46 I am seeking against their client. I've repeatedly told them NO GO ! Should anyone in your office be willing to confer with me on my case, call me. inherently WAFTING and WONDERING DICAMBA herbicide ... will likely bring it's blatant use in agricultural environment to an eventual end. I live in Iowa. We are now into only Prairie and Trees but we have farmers around us planting corn and beans. I guess I will start asking. It cost about $700/ acre to put in a prairie.